Our Trees for Tribs planting volunteers might like to know how all those trees & shrubs they planted this spring are doing. Well it’s good news! 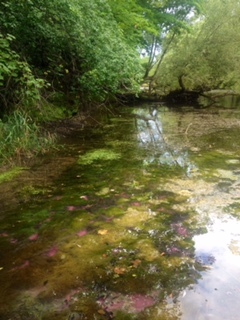 On Monday (8/22) I accompanied Meg Boberg (Genesee River Basin T4T Coordinator) and Sarah Walsh (NYSDEC’s State Coordinator for T4T) on a tour of the Oatka Park and Balonek Farm planting areas we did earlier this year. Sarah was very impressed with the amount of volunteer effort that was involved. She also commented on the uniqueness of the Oatka Park site. What was most surprising (particularly for the Balonek farm), was the low tree mortality observed. Given the lack of rainfall we have had, I expected we would find quite a few trees that did not make it. But almost every tube had live plants growing in them. 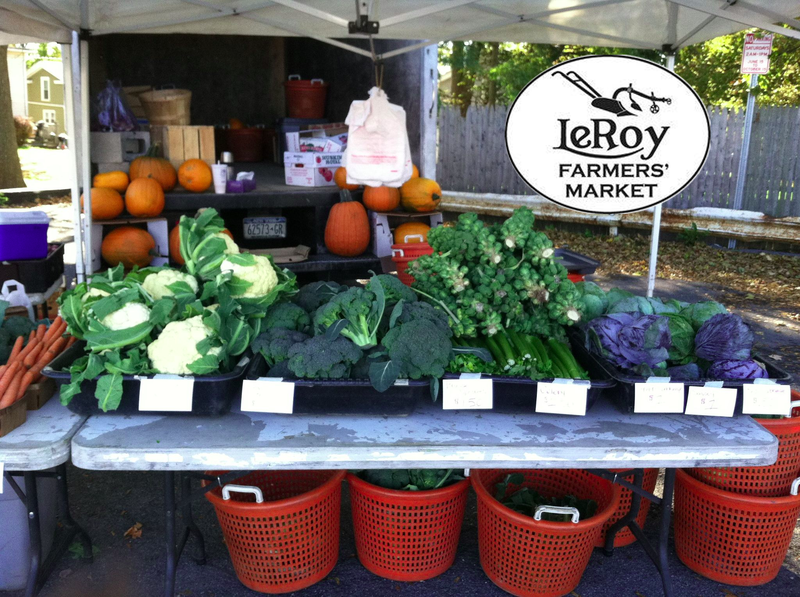 The OCWC is going to be back at the LeRoy Farmers’ Market this Saturday, August 20 from 9:00AM to 12:30PM. 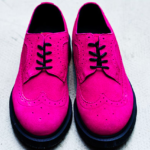 Come pay us a visit while you shop for fresh local produce and locally made goods! 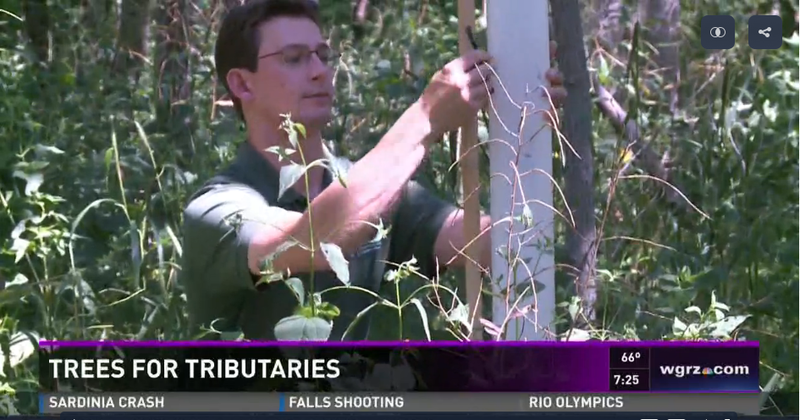 Trees for Tribs on TV! 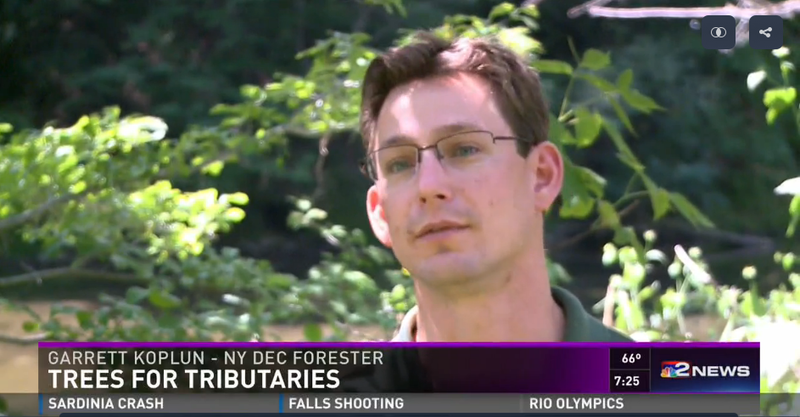 On August 3, after very short notice, I had the opportunity to join Gary Koplun, a forester in DEC’s Region 8, and Terry Belke, a photojournalist from Channel 2 WGRZ in Buffalo, for a tour of the Trees for Tribs project location at Oatka Park. During the nearly three hour tour, Terry took a lot of video of the trees and Oatka Creek and interviewed both Gary and I. 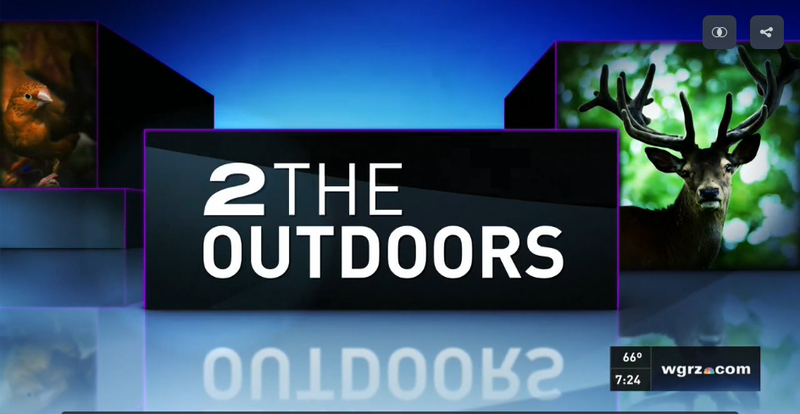 The resulting 3 minute video appeared on Channel 2’s “2 the Outdoors” news segment on August7, here is a link http://www.wgrz.com/sports/outdoors/trees-for-tributaries/289672482 to the video. Hope your summer has been filled with a lot of fun activities. Under a framework established under an Executive Order, Governor Andrew M. Cuomo today directed the New York State Department of Environmental Conservation (DEC) to issue a heightened Drought Warning for most of Western New York. In response, DEC Commissioner Basil Seggos issued a Drought Warning for western State Drought Regions VI, VII and VIII. These regions include the following counties in western NYS: Allegany, Cattaraugus, Cayuga, Chautauqua, Chemung, Erie, Genesee, Jefferson, Livingston, Monroe, Niagara, Onondaga, Ontario, Orleans, Oswego, Seneca, Schuyler, Steuben, Tompkins, Wayne, Wyoming and Yates. 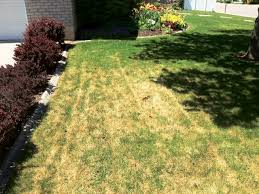 Commissioner Seggos issued the warning after consulting with experts from the State Drought Management Task Force and Federal technical agencies. The remainder of the State remains under a previously declared Drought Watch. A “warning” is the second of four levels of state drought advisories (“watch,” “warning,” “emergency” and “disaster”). There are no statewide mandatory water use restrictions in place under a drought watch or warning but citizens are strongly encouraged to voluntarily conserve water. Local public water suppliers may impose water use restrictions depending upon local needs and conditions. For more water saving tips, visit DEC’s webpage. The drought watch and warnings are triggered by the State Drought Index, which reflects precipitation levels, reservoir/lake levels, and stream flow and groundwater levels in the nine drought regions of the state. Each of these indicators is assigned a weighted value based on its significance to various uses in a region. For more detailed drought information, please visit DEC’s webpage. 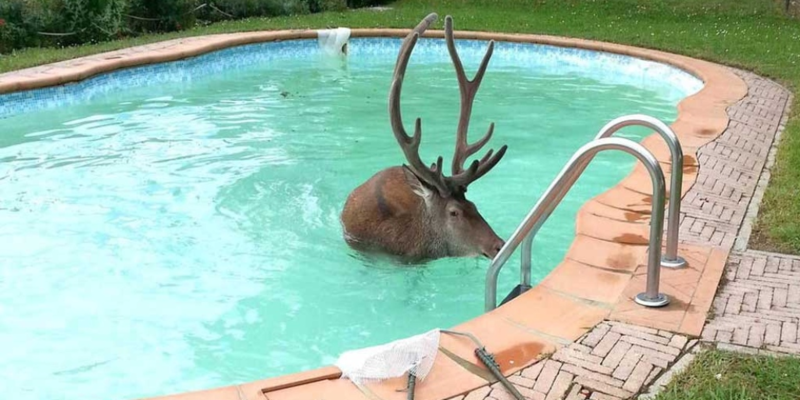 Those that don’t have a pool can still help. DEC expanded its photo collection to include anyone who spots a suspect beetle, whether it is found in their pool or not. Residents are also encouraged to submit photos if they believe they’ve found an emerald ash borer (EAB) (see what it looks like on DEC’s Emerald Ash Borer (EAB) webpage) or another invasive pest damaging trees. Photos can be submitted to the forest health program email address listed below. Through the month of August (when adults are active), check the debris collected in your filter and skimmers at least once a week or when you clean your pool. Look for the ALB (See what it looks like on DEC’s Asian Longhorned Beetle (ALB) webpage). Contact the Forest Health Program (see phone number and email address below) for a sheet to help identify insects collected. Take a picture of any insect you think might be an ALB. Send the photos of the insects that look like ALB to foresthealth@dec.ny.gov. Freeze the insect in a plastic container until DEC staff respond (typically that will be about a week). Staff will either instruct the participant to discard the insect or give instructions on mailing it, delivering it, or arranging for pick-up.